PIX is a performance tuning and debugging tool by Microsoft, for Windows developers. It offers a range of modes for analyzing an application’s performance, and includes the ability to capture frames of DirectX projects from an application for debugging. To install PIX, download and run the Microsoft PIX installer and follow the instructions. For more information about PIX, see Microsoft’s PIX Introduction and PIX Documentation. You should use a built version of your Unity application to capture frames, rather than a version running in the Unity Editor. This is because you need to launch the target application from within PIX to capture GPU frames. See in Glossary capture easier. The following walkthrough uses a basic example to demonstrate the entire process. 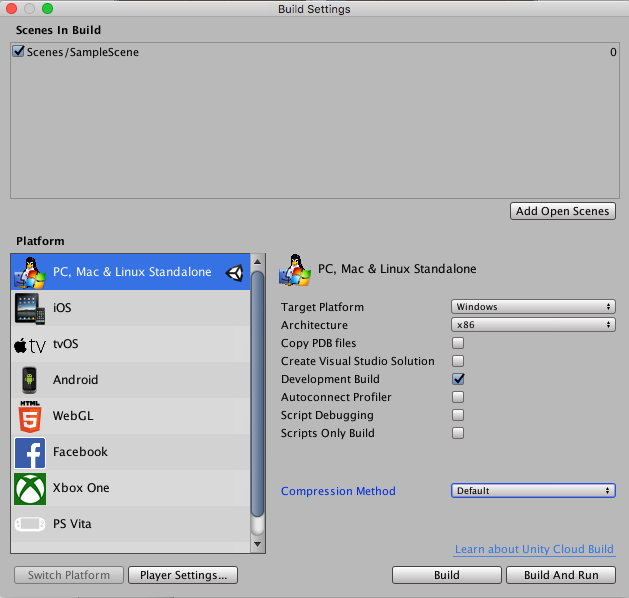 Create a new Unity project (see documentation on Getting Started). See in Glossary window, click Open. This opens the shader file in your scripting editor. Insert #pragma enable_d3d11_debug_symbols into the shader code, underneath the other #pragma lines. In the Material’s Inspector window, select the Shader dropdown, go to Custom, and select the shader you just created. See in Glossary > Cube). Assign your new Material to your new GameObject. To do this, drag the Material from the Project window to the 3D cube. Select Computer localhost to use your PC for capturing, and click connect. In the Select Target Process box, select the Launch Win32 tab and use the Browse button to select your application’s executable file. Note that here, “Win32” means a non-UWP application; your application file must be a 64-bit binary file. 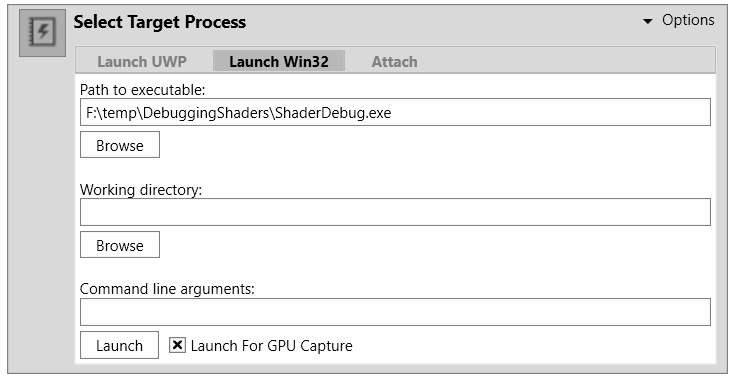 Enable Launch for GPU Capture, then use the Launch button to start the application. See in Glossary icon on the GPU Capture Panel. A thumbnail of the capture appears in the panel. To open the capture, click the thumbnail. To start analysis on the capture, click the highlighted text or the small Play icon on the menu bar. Select the Pipeline tab and use the__ Events__ window to navigate to a draw call you are interested in. See in Glossary on the object you want to debug. Note that you can right-click a pixel to view the draw call history, as a way of finding draw calls you are interested in. Select Debug Pixel on the Pixel Details panel. On the debug panel, use the Shader Options to select which shader stage to debug. See in Glossary or keyboard shortcuts to step through the code. 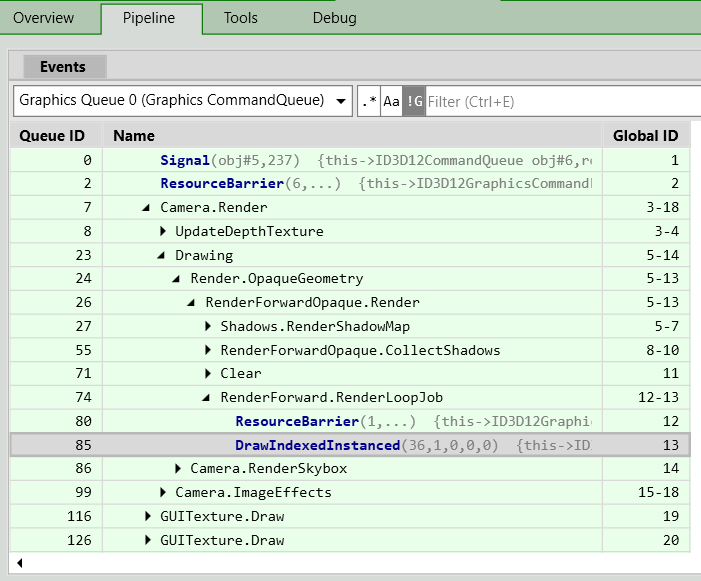 For more information on debugging shaders with PIX, see Microsoft’s video series PIX on Windows, particularly Part 5 - Debug Tab. For more information on GPU capture in PIX, see Microsoft’s documentation on GPU Captures.